Colored text links. 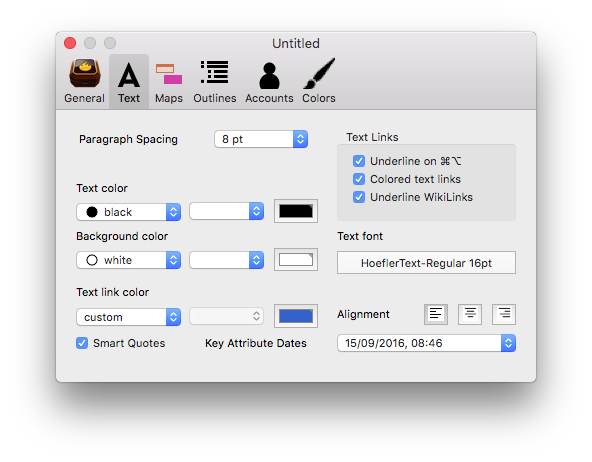 This controls whether link anchors in $Text are coloured using the text link colour. Default: ticked.